Envisia’s Kenneth Nowack and Sandra Mashihi provided “evidence-based answers” to 15 questions about leveraging 360-degree feedback. Their first question was “Does 360-degree feedback do more harm than good”? 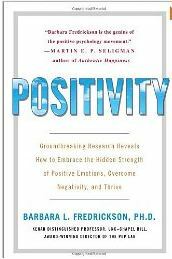 Specifically, individuals can “experience strong discouragement and frustration” when feedback is not as affirming as anticipated. 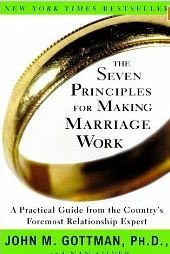 John Gottman’s studies of positive-to-negative interaction ratios in marriage suggest that intact and well-functioning marriages have a a 5:1 ratio, and research by his colleagues, Schwartz and team, found a similar effect for 360-feedback sessions, though the ratio was closer to 3:1 to encourage enhanced individual and team performance, individual workplace engagement, effectiveness, and emotional “flourishing,” according to Frederickson and Losada. UCLA’s Naomi Eisenberger and Matthew Lieberman collaborated with Kipling Williams of Macquarie University to demonstrate the physical and emotional impact when people are overloaded of negative feedback: The same neurophysiologic pathways associated with physical pain are triggered. Under these circumstances, volunteers reported higher levels of physical pain and demonstrate diminished performance on a cognitively-demanding task, according to Purdue’s Zhansheng Chen, Williams and Julie Fitness of Macquarie University, and University of New South Wales’s Nicola C. Newton. Anyone providing evaluations or 360-degree feedback may organize and “titrate” negative (“constructive”) feedback to remain within tolerable ratios so that those receiving this coaching can assimilate and execute recommendations. This entry was posted in Behavior Change, Career Assessment, Career Development, Leadership, Neuroscience and tagged 360-degree feedback, Barbara Fredrickson, Behavior Change, Career Assessment, Career Development, feedback, John Gottman, Kenneth Nowack, Leadership, Neuropsychology, Sandra Mashihi on September 5, 2012 by kathrynwelds.